With “match” Google Maps users will be able to find their “one true love.” Before jumping to the wrong conclusions let us clarify that Google is not trying to add any Tinder features to its Maps app. Nope, “match” is simply meant to find the restaurant that offers the food and drinks you like most. You can now tap on a food or drink spot on the Maps and you'll be given a forecast of how likely you are to enjoy it based on your unique preferences. Another new feature introduced in this update is related to the Explore tab. iOS users will now be able to see how many restaurants they've been to when viewing trending lists in the Explore tab. Moreover, you'll even be able to complete a list if you continue to go to new places. 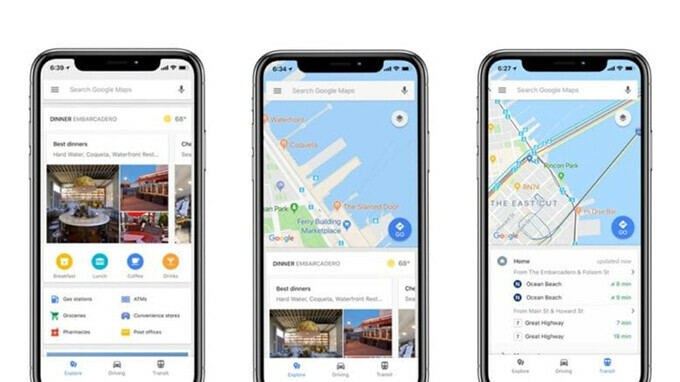 Everyone using an iOS device can find the latest version of Google Maps in the App Store.